Oh friends, these words are speaking straight to my heart today. More and more hard news. More and more of wondering where God is in this world. More and more of wondering when God’s peace will prevail. But what I do know is that God’s grace always prevails. Yes, it is this grace that will lead us home. Yet I know that it is often so very hard for us to trust in that promise. We want God to give us a GPS to direct us along life’s journey. 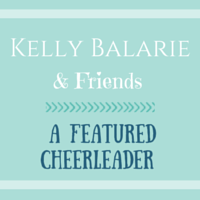 We want our answers to be as instant as an instant message from a friend. But God does give us a GPS, just not the kind of GPS we want and are looking for in our lives. God’s GPS is God’s grace positioning system! Can you think of all the times and places when God’s GPS has shown up in your lives? It took me a long time to realize that grace is this free unmerited gift that God gives to each and every one of us. Yet grace isn’t wrapped in a pretty bow. Grace is an amazing gift that comes with no pretty strings, ribbons or bows attached to it. It is simply set out onto the table for us to receive. But are we willing to receive it? I have come to accept and receive this unmerited gift with open arms because it has blessed me in more ways than I can ever count or imagine. Grace is what has helped me live as a daughter of a woman who daily struggles with a mental illness. Grace is what helped me graduate seminary when I thought that was an impossible task. Grace is what has continually shown me again and again the power of God’s love for all of God’s people. And because I have received this gift and seen the power of grace in my own life, I want to continually show it to others. Because in showing God’s grace, we see, not only glimpses but full images of a visible God that often feels invisible in this world. But it is in these moments and gifts of grace that God’s invisibility becomes visible to all of God’s people. An upbeat video for your Tuesday afternoon! 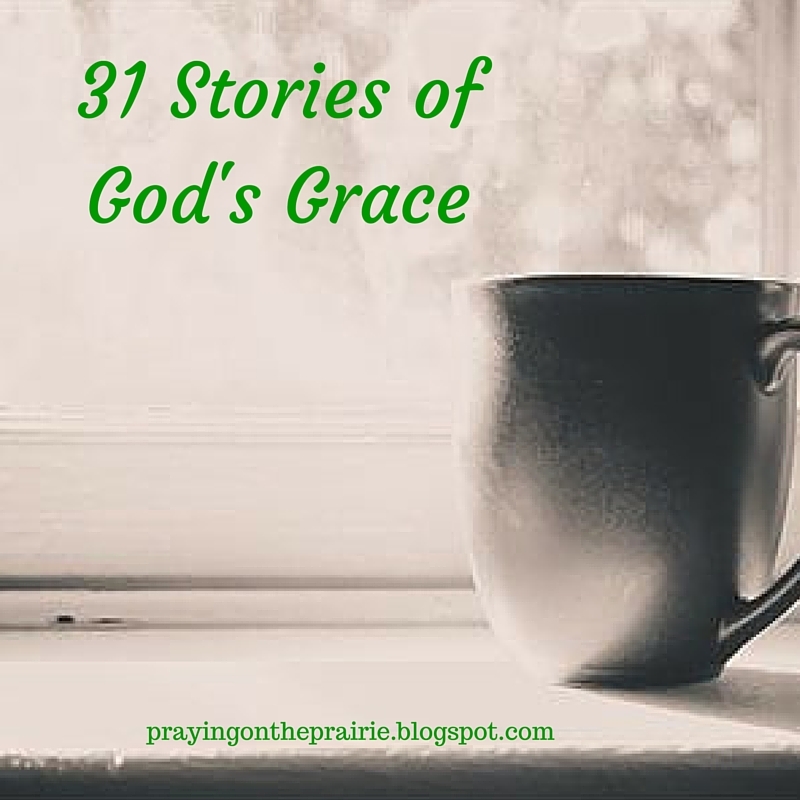 This entry was posted in Uncategorized and tagged #write31 days, Amazing grace, grace, Mental Illness by tara.ulrich. Bookmark the permalink. Beautiful post on a huge topic Tara. Like you, there have been so many circumstances and instances in my life when I just didn't think I could make it through (including some *really* unhealthy people in my life), but because of God's grace, He's fulfilling his promise to work all those things together in my life for good. Once we realize that His all-encompassing, on-going grace is a gift we can't earn, it's easier to share that same gift, isn't it? Loved this post. 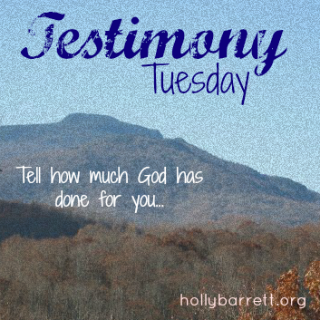 I'm your neighbor over at #TellHisStory today and I'm so glad I dropped in to read your encouraging words. Blessings! Thank You so much Caryn! Yes, it really is easier to share when we realize that it is a gift and not earned. I am so glad you loved my post! Thanks for dropping by. So glad to have you here! Blessings to you as well! so beautiful! I'm definitely going to do Tesrimony Tuesday again now ant then. Thank You! Oh cool…I don't think I have heard that song before. Thanks for sharing it with me! you are welcome! I didn't know Christy Nockles before someone sent the song to me, either. There's a lot of music out there waiting to be hear and enjoyed. Thanks Steffanie! Amazing Grace indeed! 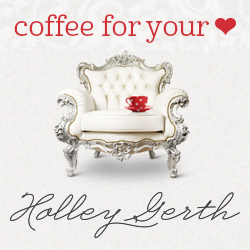 Glad to have you join me from Coffee for your Heart. I am going to hop over to your place in a few minutes. We do have the best GPS of all! Blessings to you too friend!